On 17th November I will be running a natural dyeing workshop during the Festive Makers House event at Blue Shop Cottage. 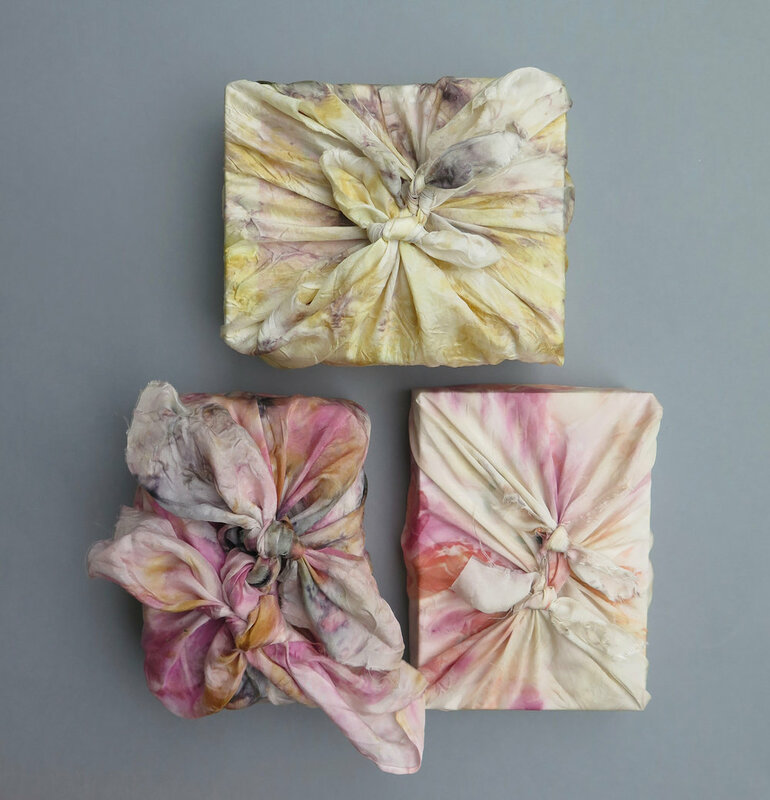 During the workshop we will be dyeing silk panels with natural flora to create beautiful, delicate pieces which are perfect for creating an extra special gift wrap for the festive season. The tradition of Japanese Furoshiki is a wonderful one to adopt for a more sustainable alternative to wrapping paper (which often can’t be recycled).